Lovely week of peace and tranquility. Cottage lacks nothing you need for an enjoyable stay. Location is wonderful and had many happy hours observing the activity on the bird feeders. Welcome pack was excellent and Clare provides a first-class service. Would definitely recommend. We had a lovely holiday at Crooked Lake cottage. Great cottage with a well-equipped kitchen and really convenient for all the things we wanted to do. Brilliant welcome pack! "Firstly, we would like to thank Pete for our warm welcome and providing us with Coffee, Tea, Sugar, Milk and Biscuits. Secondly, what a lovely cosy cottage and beautiful surroundings, the wild life was great, feed them and they’ll come! Thank you for letting us stay." "A wonderful week in a beautiful cottage and garden. Thank you to Peter for a most wonderful welcome. A lovely spot, greatly appreciated"
"Once again had a lovely break been coming since 2012. Try Johns Deli and Instow, it’s great. As always cottage lovely with welcome tray. A home from home." "Where else can you spend a cosy week in rain swept North Devon? – A super break to re-charge, Thank you P & R once again." "The cottage certainly gave us the peace & quiet we were looking for and we have had a very relaxing time. Rosemoor gardens is worth a visit and the Merry Harriers garden centre for lunches and on a Sunday carvery, LOVELY FOOD. Hope to return in the near future. Many thanks for the supply of logs." "Firstly, we would like to thank Peter for our warm welcome and providing us with coffee, tea, sugar, milk, biscuits. Secondary, what a lovely cosy cottage and beautiful surroundings. The wildlife was great, feed them, they’ll come! Thank you for letting us stay." "The cottage gave us the peace and quiet we were looking for and we have had a very relaxing time. Rosemoore gardens is worth a visit and the Merry Harriers Garden Centre for lunches and on Sunday a carvery, lovely food. Hope to return in the near future. Many Thanks for the supply of logs." "Pete and Rowena, Thanks again for a lovely stay, once again we have had a great stay with both our daughters and grandchildren having a break during the week. Your assistance and help with everything very appreciated. Take care of yourself and see you soon. A note from Ebony, our granddaughter. I have had the best time ever! It’s very cosy by the fire. The beds are so comfortable I had the best sleep ever! We toasted marshmallows in the fire. We went to loads of places. I love it here. We went to the gnome reserve and nan kissed a gnome! Ebony – thank you for everything." "We really enjoyed our stay in this beautiful cottage. It is really well equipped and comfortable and nestled in an ideal base for touring North Devon and Cornwall. Would recommend a visit the Lundy – well worth I, but it’s a long day. The Bell pub certainly offers the best food in the area and again we’d recommend it in all a great holiday in a lovely part on England." "Lovely welcome, beautiful cottage, well equipped. Garden is lovely and well kept. Fantastic days out at the coast." "Such an old friend crooked Lake. A lovely autumnal week. Thank you, R & P see, you in a few months!" "What is there to say – Exceptional! Weather was kind, rained once day but even that was enjoyable! Spent a lot of time enjoying the fantastic garden and relaxing. Couldn’t have asked for a more cosy, well equipped and delightful cottage. Thank you for all the thoughtful little touches." "We’ve had a lovely week at this beautiful cottage. Very clean and has everything you need! Very relaxing, thank you Pete & Rowena! Will definitely be back!" "What is there to say – exceptional! Weather was kind, rained one day but even that was enjoyable! Spent a lot of time enjoying the fantastic garden and relaxing. Couldn’t have asked for a more cosy, well equipped and delightful cottage. Thank you for all the thoughtful little touches"
"Another lovely 2 week stay (forgotten how many times we have been) Relaxed enjoying the garden as the weather in first week was very hot. Hope the strawberries & raspberries will be as nice as they look (almost ripe) Thanks for looking after us and making the cottage so good for our arrival breaks. Flowers "inside most of the rooms give that very welcoming touch. Hope to be back – still lots of places we want to visit. Many thanks Peter & Rowena." Many thanks Peter and Rowena, from Margaret and Martin. "Another lovely two weeks stay (forgotten how many times we have been) Relaxed, enjoying the garden as the weather in the first week very hot! Hope the Strawberries and Raspberries will be as nice as they look (almost ripe). Thanks for looking after us and making the cottage so good for our arrival. Flowers inside most of the rooms give that welcoming touch, hope to be back – still lots of places we want to visit!" "What a lovely few days we have spent at Crooked Lake – as soon as we arrive back here we feel so relaxed and ‘at home!’ Spent lovely evenings walking on Instow beach, visiting the gallery in Bideford and it’s amazing Café! Can’t wait to return Thank you Pete & Rowena for such a lovely time!!" "Had a lovely week, the cottage was wonderful to stay in. We would definitely come again. The weather at the end was beautiful. Scenes were amazing, thank you for everything. From the Morris Family." "We have had an amazing week, the cottage has been perfect for us. We have been busy, went to Quince Honey Farm, The Big Sheep, Sandy Mouth, and Clovelly. Have loved being tourists! We have loved the cottage, our favourite by far. Thanks, from all of us and Happy Easter." "We had a fantastic week. Such a quaint cottage. Well equipt and quite secluded. Pleasant walk for a daily newspaper and for anyone who enjoy a walk - Lang Farm. I've waited almost 24 years for a honeymoon. Thank you so much." "Just when you think it can't get any better - it does. Thank you so much. A glorious week." "Wonderful, well equipped cottage, conveniently located for many attractions. We have had a lovely stay, with a week of excellent weather. Tarka Trail for cycling is a must - hire bikes from Torrington Station. God for a cream tea at Rectory Tea Room at Morwenstow. Milk, biscuits and flowers very welcome. Thank you." "Firstly a big thank you to Pete and Rowena for the warm welcome and the lovely tray of goodies. Beautiful cottage, cosy and warm - and very clean and well equipped. Great base for visiting Clovelly, Croyde and the Tarka Trail. Baggy Point (from Croyde) was stunning - dramatic coastal scenery, a must see. The wildlife in the garden put on a wonderful show every day once we had fed them. All in all a brilliant week - weather made it an excellent week. 10/10"
"Beautiful cottage, very clean and cosy, couldn't want for more with the facilities. We've had a wonderful time, the wild life in the garden, 'Phessy' the pheasant, other birds, the owls calling out at dusk and the bat show at sunrise, and lovely days out in Devon. Big thank you to Peter and family, will be highly recommended." "We've had a good week, the house is lovely. Really clean with everything you could possibly need. We’ve been surfing at Westward Ho!, Croyde Bay is beautiful! Thank for such a warm welcome." "Our second time at Crooked Lake, we came here at Easter when the weather was warmer! Coldest August for 100 years! Great! Our girls aged 10 and 6 love visiting the Milky Way, and Atlantis Adventure Park. We went to Watermouth Castle for the first time and really enjoyed it. Fun for the children and beautiful picnic spot with ducks just outside the castle. Shame about the cold and rain, but good old Asda provided jumpers and a lovely warm rain coat!" "Beautiful cottage, clean and very charming. We have had a fab time. Had a great day in Lynton and Lynmouth. Thank you to Pete and Rowena. Hope to rebook for next year." "Our stay at Crooked Lake has been so much fun. We have laughed and cried! We went to Appledore crabbing and we caught lots of crabs! It was so much fun. We went to Woolacombe beach for two days and there were good waves. We have had a great holiday. We love the cottage it is a lovely place to stay." "Our stay at Crooked Lake has been wonderful. Thanks Rowena for a lovely clean cottage and the advice on finding our way around. We have had lovely weather, peace and quiet and fun when we wanted. The cottage location is wonderful, we love the sheep and the garden is great. Thanks"
"Lovely stay, house and garden amazing. Great trip to Lundy and Hartland Quay was beautiful. Thanks for everything and for making our stay so enjoyable." "We had a great week. Cottage is amazing, so comfortable and clean, everything you could need. North Devon is amazing, we'll be back." "Perfect, Thank you. Ate many times at the Bell Inn, Parkham, very good pub food." "Have spent a lovely week in this cottage. Couldn't wish for anything more." "What a fabulous weekend here to celebrate Yentl's 16th birthday. Spent whole day on beach in beautiful sunshine, BBQ, cricket, sun and sand, what a perfect time. Been coming here since before Yentl was born, so many amazing memories. Pete and Rowena the cottage as ever is perfect - who could want for more? Thank you so much and see you again soon." "As delightful as ever with so much attention to detail. Well done, pats on backs for Rowena and Peter." "Spent our 40th wedding anniversary here. Thank you so much for letting us stay in this charming and lovely cottage. Cottage very very clean, homely, beds very comfy, could not ask for more. Thank you Peter and Rowena for everything and the welcome tray, flowers, milk, tea, biscuits etc. were very much appreciated. We will be recommending cottage to friends and family." "Pete and Rowena it's been said 1000 times, thanks for everything including the welcome tray and local knowledge. Had a wonderful week away from the hustle and bustle. No phone signal or internet for the outside world to trouble us. Some fantastic walks straight from the cottage. The coastal path is spectacular, Hartland and Clovelly a must. Combe Martin was closed, so a lovely at Ilfracombe. Sad to be returning to the real world and will definitely be back to this lovely well equipped cottage. Food and service at the Bell worth several visits." "This is the 4th visit to the cottage and once again it is superb. Thank you for the welcome tray." "Peter and Rowena, many thanks for going to such effort with the Xmas decorations and the beautiful Xmas tree. Really lovely cottage, very well equipped, warm and comfortable. The welcome pack much appreciated. We have been mostly lucky with the weather, lots of sunshine Xmas day and Boxing Day. The Bell nearby in Parkham does really good veggie food and nice ambiance. Had a drink here on Xmas day before coming back here for dinner. The swim at Bude is one to note for Xmas day, unfortunately we missed everyone plunging in at 11am but good crowd scene. Had lunch at Old Station Inn, Blackmoor Gate on A399 - not bad. Thank for a warm welcome as well." "Its a lovely warm cosy cottage , and very many thanks to Peter who made it so lovely with the tree and all the decorations , as well as the “welcome goodies” : very generous, and much appreciated. So nice to have a decent size flatscreen TV, so thanks for that as well. The woodburner is very effective. Very best wishes and Happy New Year"
"Thank you so much once again Pete and Rowena. A very relaxing break away in our second home. See you soon." "Spent our 36th Wedding Anniversary exploring the area and relaxing in this lovely cosy, clean and well-equipped cottage. Couldn't have asked for better! Thank you, Peter and Rowena." "We have been coming here for many many years., Always a delight, always spotless, always welcoming. We appreciate the extras, the flowers, the soap, the tissues and the biscuits and the tea treat. 'The Best' Thank You." "Had a wonderful if wet half term holiday. So much to see and do around here - loved Clovelly and Woolacombe. Best, cleanest and warmest and cosiest cottage we've stayed in - Thank you so much. " "We've had a lovely relaxing week in a comfortable, clean and well-equipped cottage. Thank you"
"Really pleased!! Cottage is so well and thoughtfully equipped. We had everything we needed to make our stay pleasant and comfortable Relaxed and cosy. Thank you for all the little extra touches. Flowers, welcome pack, tissues, - just wonderful - we hope to come back again." "3rd Visit to cottage. Very comfortable and thank you for the welcome pack. " "We enjoyed very much our week in this lovely cottage. Although We didn't meet the bat there is plenty of amazing things to see and do in the area. Thanks Peter for your help whilst we were here. " 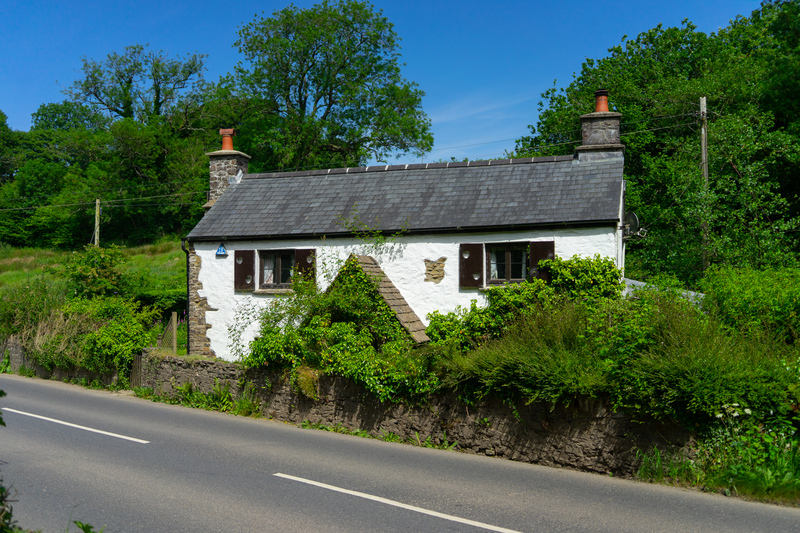 "Lovely cottage - we've stayed in many and this was the best equipped. Matthew loved being able to borrow a body board! Altogether a great holiday. We hope to the back. Thank you! " "A lovely refreshing break. The very fat squirrels on bird feeder every morning. Resident bats were a wonderful wildlife experience!!! Pete the caretaker looked after us. We would definitely come back again. Visit the woods - dark and scary! Straight out of Harry Potter!" "Lovely cottage, lots of nice extras and cute resident bat! Nice area and very helpful caretakers!" "Lovely cottage - really enjoyed staying here. The whole property is amazing - the bodyboards are a great extra! Would love to stay here or longer! A fantastic holiday, Thank you"
"Thank you for a lovely stay - we really appreciated the little things and the big things! Everything is spotless! Hope to be back." "Back for our 5th Visit. Wonderful cottage - fantastic weather! Spent the days body boarding at Widemouth beach - the best! Thank you to Peter for all the usual little extras, like tea bags, coffee, milk and biscuits etc. That really made a difference. We are sure to return!" "As wonderful as ever. Thank you so much"
"Cottage as clean + well equipped as ever! Big thank you to Peter and Rowena for this! Also for the welcome and ensuring we had all we needed. Wonderful area - inland + coastal for walking and relaxing. Still no sighting of an otter! Try the lanes for calm evening walks. Thanks for everything"
"Have had a lovely stay in the cottage. Saw plenty of birds at the feeder. The weather has been fantastic so we have had some good days out with not far to travel. We loved the beach at Hartland Quay and the ice creams - love place, good walks, fantastic time. Thank you"
"We have been coming here for many, many years. Always a delight, always spotless, always welcoming. We appreciate the extras, flowers, soap, tissues, biscuits and tea tray. The best! Thank You!" "We have had the most wonderful holiday in this delightful cottage, it’s warm, comfy and everything you need. Hope to come back soon." "Here we are back again for the 4th time because it’s such a lovely cottage. We had a great week weather wise and would recommend Widemouth Bay beach." "Our first time at Crooked Lake cottage, we are both very impressed with the house. A very warm and comfortable feel to it. A very nice week indeed." "A delightful cottage in lovely surroundings. Nothing wanting and enjoyed every minute in and outdoors. A perfect holiday, thank you!" "Another fabulous stay, thank you. The cottage remains as lovely and homely as ever." "Fabulous cottage, lovely location, very peaceful. Flowers and welcome pack on arrival a lovely thought. We had a wonderful time. Thank you so much." "Cosy, comfortable cottage, very well equipped. Birds wonderful couldn’t have had better weather!" "Crooked Lake is becoming our second home! Once again, very relaxing holiday. Thank you very much, roll on our next visit in November." "Beautiful location, so peaceful. Loved the cottage, so well-equipped and presented, very comfortable. Love to come back some time." "Wonderful warm and cosy cottage for a February get away. High standards in the cottage welcomed. Beautiful countryside and so many birds in the garden. Thank You."